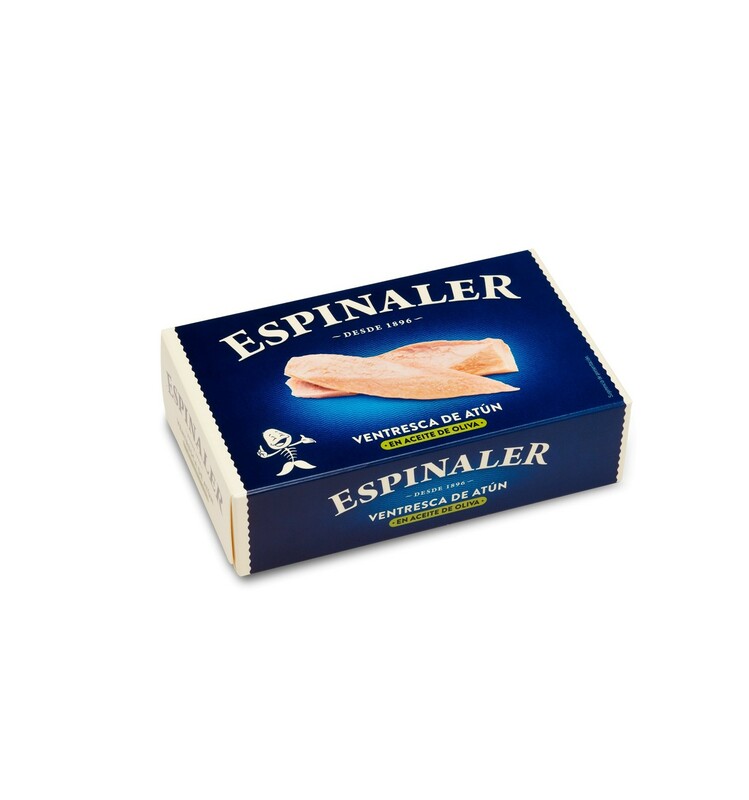 Tuna Ventresca In Olive Oil - Espinaler to enjoy in any appetizer or salad. 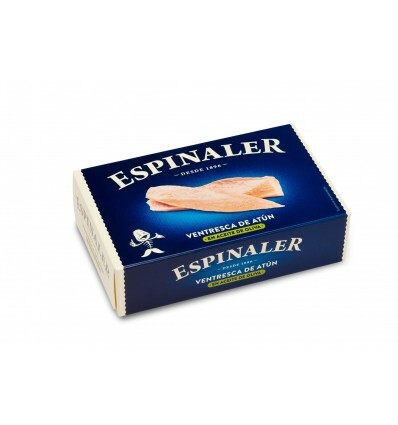 Ventresca is considered the best part of the tuna for its finesse. Ventresca a is very healthy in phosphorus, thiamine, niacin, vitamin B6, vitamin B12 and vitamin D. In resume, a very vitaminized appetizer.